Through years of experience traveling in Tanzania, Ajabu Adventures has collected useful tips for you that are given below. Keep these tips in mind as you prepare for your trip to this beautiful country. You can book your flight depending on where your safari brings you, arrival and departure may be different. We can give you a fitting travel advice based on your trip. There is not only a difference in destination airport but also in airlines. The airlines that are utilized most by our guests are: KLM, Ethiopian Airlines, Kenya Airways, Qatar Airways and Turkish Airlines. There is a quality and price difference between the different airlines. Ajabu Adventures is delighted to arrange all transfers for you between arrival and departure. If you travel with Ajabu Adventures, we will automatically sign you up for the AMREF Flying Doctors Tourist Evacuation (excluding day trips). If you are going to climb Mount Kilimanjaro or Mount Meru with Ajabu Adventures we do twice a day, or more often if necessary, a medical check-up. Your guides during the climb are medically trained in altitude sickness and we always take oxygen on to the mountain. Ajabu Adventures does not have any luggage restrictions, however airlines companies do. Please remember that if you have a domestic flight, it is important to check the limitations for this company as well, since these often vary from international flights. Also check out our safari packing list to help you pack smart and light. It is common to tip in Tanzania. In small and simple restaurants and bars, a tip is not necessarily expected (though appreciated). In touristic areas it is common to tip bellmen, maids, taxi drivers or bus drivers an amount of about USD $1, 1 Euro or 1,000 TZS. A tip like this is also given to people on the streets that are helping out. In more luxurious restaurants, you can include a tip of about 5-10% of the bill. The guideline for tipping for your private safari guide/driver is USD $20-25 per safari car per day. Tipping for climbing crew will be provided with the proposal for your climbing tour. Colors like blue and black should be avoided during game drives, since they attract tsetse flies and other insects. Tsetse flies like to linger around your feet and ankles. If you visit a park where the tsetse fly could potentially be active (like Tarangire National Park), it is recommended to tuck your long pants into your socks (not blue or black). Neutral colors like light brown, olive green and khaki are good for safari activities and are highly recommended. The currency of Tanzania is the Tanzanian Shilling (TZS). There are coins of 50, 100, 200 and 500 TZS and bank notes of 500, 1,000, 2,000, 5,000 and 10,000 TZS. Foreign currencies, particularly Euros and US Dollars, are generally accepted and are convertible to Tanzanian Shillings (TZS) at banks and currency exchange offices. Please note that no dollar bills are accepted older than 2006.
Credit cards can be used in a number of lodges though often attract a service fee of up to 5%. If you would like to know if the accommodations in your itinerary accept credit cards feel free to check with us. Larger towns offer ATM facilities and currency exchange offices. If you are planning to use your debit or credit card be sure to notify your bank you will be traveling abroad, because sometimes banks will deactivate your card if you have not notified them. Electricity in Tanzania is 220-240V. Power failures can occur regularly; therefore bringing a flashlight is advisable. Most places will have a generator to ensure power when electricity fails. However, during the night hours these are often turned off. 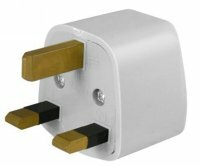 We advise you to take a universal adapter in order to use your electrical appliances. All our safari vehicles offer charging possibilities for mobiles and cameras. Tanzania has a number of domestic airlines. Precision Air and Coastal Air are the most well-known and often used by Ajabu Adventures. Track your route and the places that you have visited during your safari in Tanzania! Your family and friends can follow you and afterwards you can create your personal Travel Book including all your photos. For this app only GPS is required, no internet.